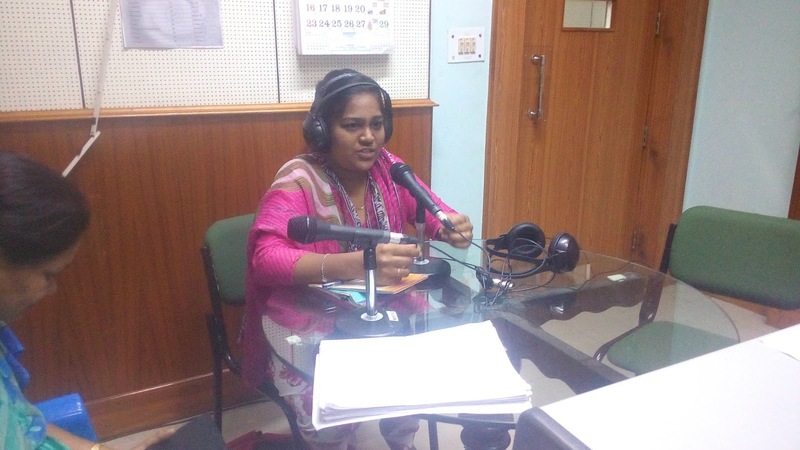 The month of September is being observed as the" Month of Nutrition" and in this connection AIR FM LRS Dharmapuri, Tamil Nadu invited Ms.S.Suganthapriya CDPO, Dharmapuri for the weekly live programme "Info Thagadur" (Thagadur Thagaval) on 12/09/2018 between 9 am and 10 am. The expert gave valuable suggestions to the listeners for the improvement of nutrition among children and all other age group.There was a good response from the listeners. The programme was co-ordinated by Shri.R.Murali PEX.